While William works on sewing his waistcoat, I've been playing with fabric scraps, and dabbling in small projects to share with Maria. I settled on an idea that brought several crafts and projects into one activity. I cut small muslin panels... 2.5" x 4", so we could sew sachets. 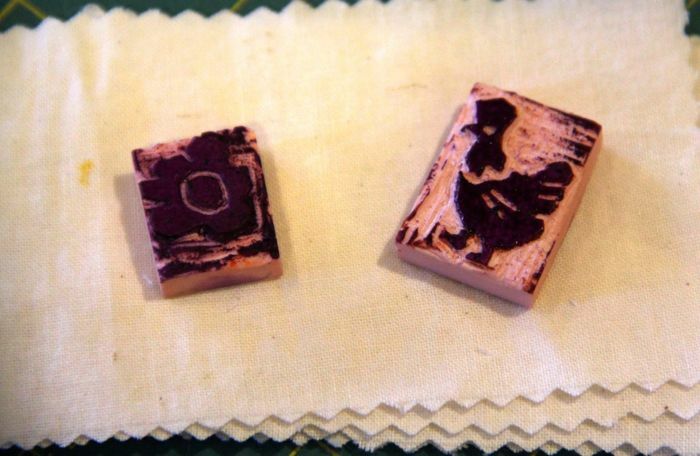 Then I found the two stamps that Maria and I learned to make at Maker Faire. Maria's is a flower, and mine a... can you guess? 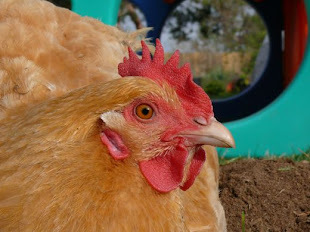 Yeah, a chicken! We stamped our muslin pieces. We're talking home-grown and folksy, here. 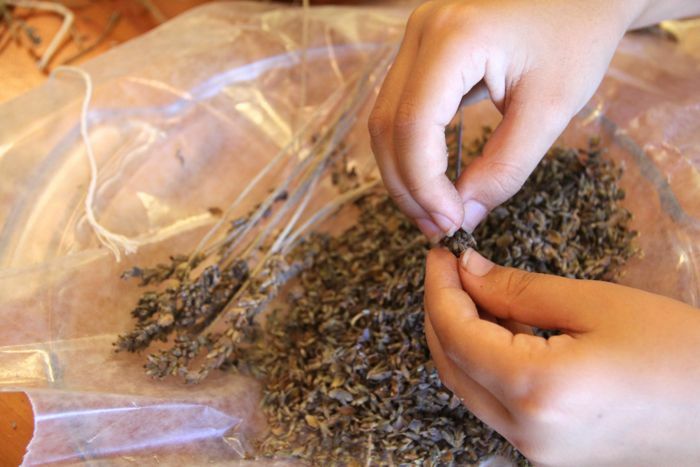 This is the part that got Maria really excited, because we were using our own stamps, and now we were collecting the lavender from our very own garden, and we tried to remember the first time we dried lavender. It was two summers ago, when we started our CandleLight tradition! So, now our own garden, and our own preserving, were helping us to do a new activity. 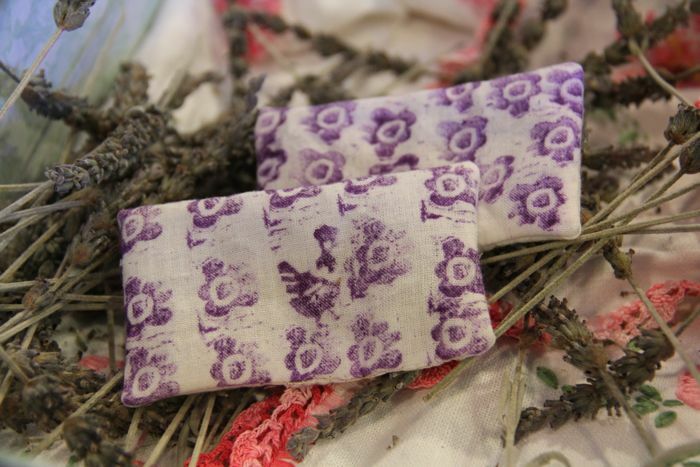 All of our earlier efforts were coming together to make sachets all our very own. 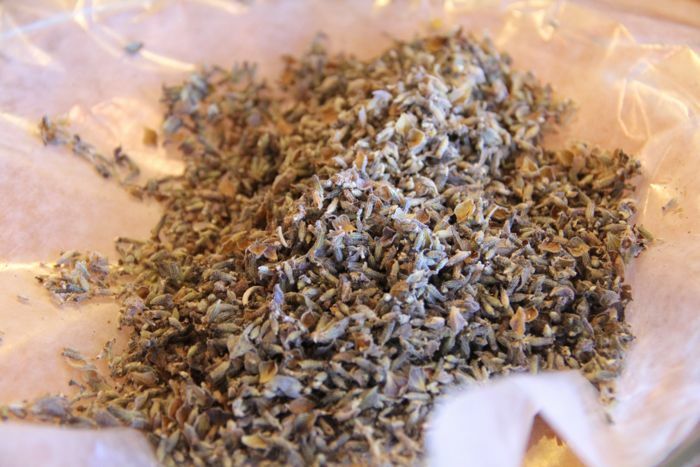 The lavender smells lovely, warm, soothing, like a summer afternoon. 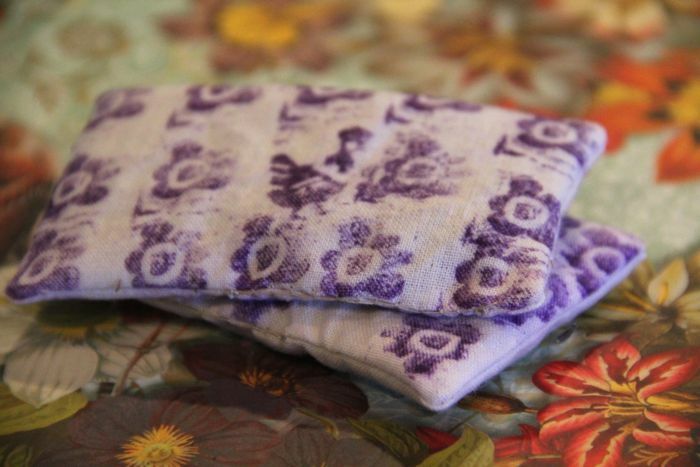 Maria filled the small pouches, and we thought how ideal it was that our black ink pad had faded to a lovely lavender shade. And just to make the circle complete... leftovers went to our compost aids, the goats! 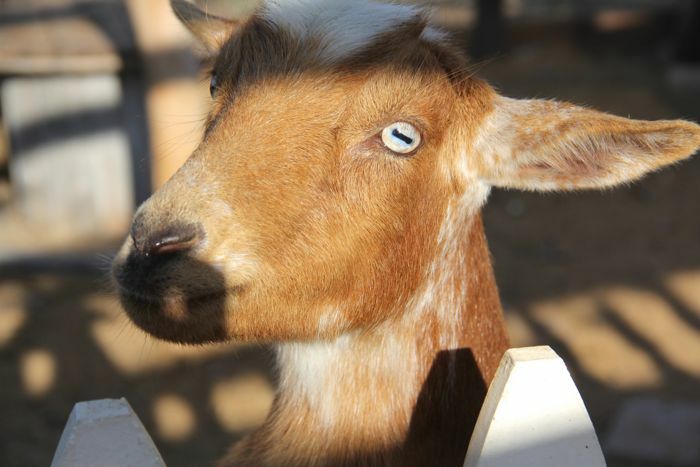 The goats are regular contributors to enrich our garden soil. Ada and Tasha love dried herbs. We brought them pine needles, and dried leaves, too. We call it trail-mix. Those two are so funny. 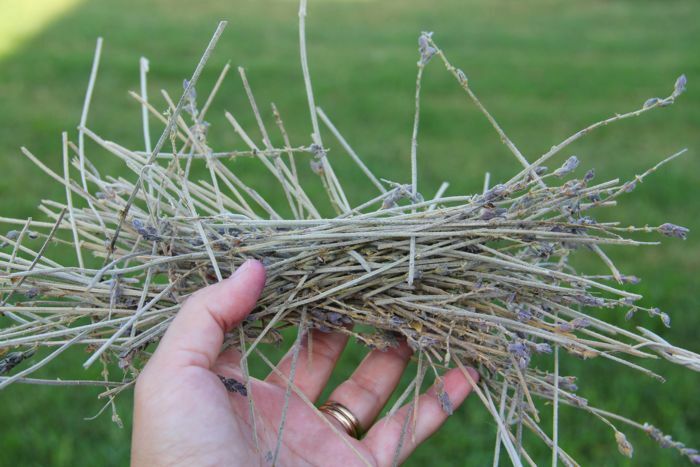 Any leftover herbs, like Rosemary and lavender can also go in the nest boxes, where they help ward off pests, and give the hens a lovely fragrance to nestle in. Those are sweet. 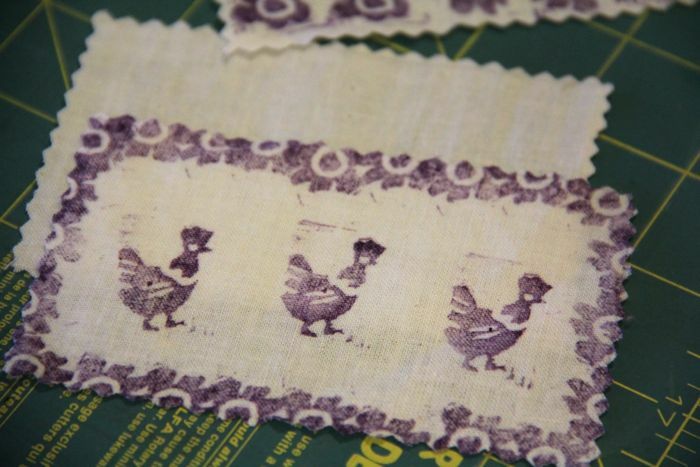 I love the homemade chicken stamp! When we made them we were standing in the sun, at a very busy crafting booth, and so it was a bit of a hurdle to be both skilled and creative, while learning something new, but it was surprisingly easy, and I definitely want to try again... in the shade, unhurried! If only I could find the pink stuff I picked up from the crafting store, so we can make more stamps... where did I put that?? If you can get your hands on the supplies, you should give it a try... it's fun!